If you are seriously considering getting a tattoo, TopTattooParlors.com is here to help you find the best tattoo shop in Virginia? 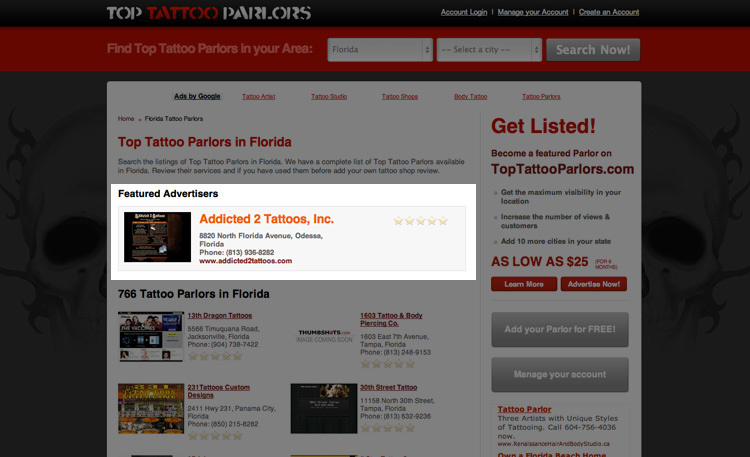 Top Tattoo Parlors has the all the best tattoo parlors and tattoo artists listing around the web. Use our search engine and locate the Top Tattoo Parlors in Virginia today!